The Pittsburgh TasteBuds host wine exchanges throughout the year at select BYOB restaurants in the Pittsburgh area. They are a fun, creative way to meet new people, try new restaurants and go home with a surprise wine. Typically they are coordinated on Facebook and although RSVPs are required for a headcount, they are open for anyone to attend. Contact us via Urbanspoon for details and to RSVP. 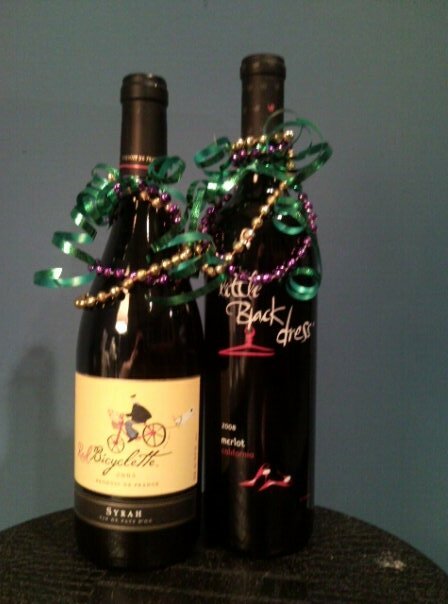 Bring 1 bottle of wine in a wine bag or wrapped to be exchanged. Bring 1 bottle of wine to have with your meal. Follow the “theme” of the night. Each party has a theme – maybe a wardrobe color or accessory. Participate and you may get a special group giveaway. To be hosted at the Fajita Grill. Hosted at River Moon Cafe, the chef/owner worked with us to create a custom Cajun/Creole fixe-prix menu inspired by the French Quarter. We gave beads to everyone in attendance. The experience even featured a one of a kind live-music performance! Thank you Josephine! Abay Restaurant was generous to give our entire group a fixe-price menu which included their combination platter. Happy Holidays – all corkage fees were on us! We celebrated great holiday cheer and exposed 16 new people to Ethiopian food. Thank you Jamie!